Total Compostela’s 2016 – Record Numbers! 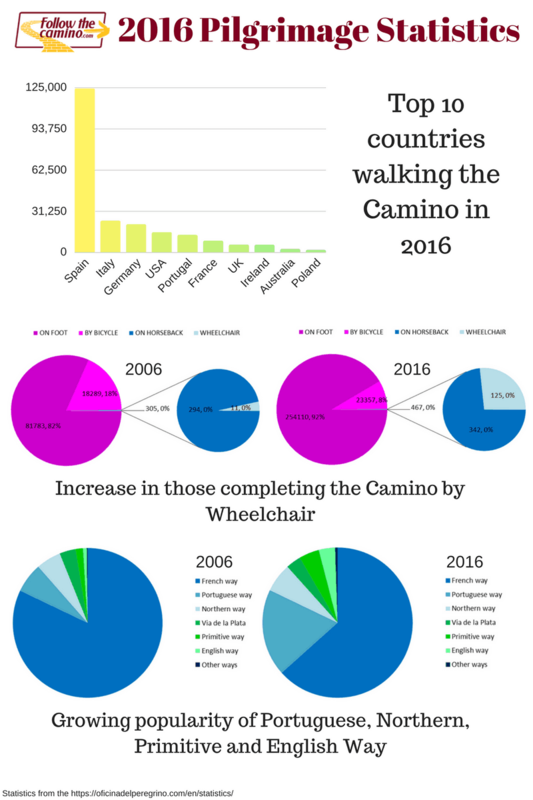 2016 was a Holy Year and as predicted the number of pilgrims completing the Camino de Santiago increased. In 2016, 277,913 pilgrims received Compostela’s in Santiago, this is up from 262,458 in 2015. However this number does not take into account those who didn’t make it as far as Santiago which would be a considerably larger. 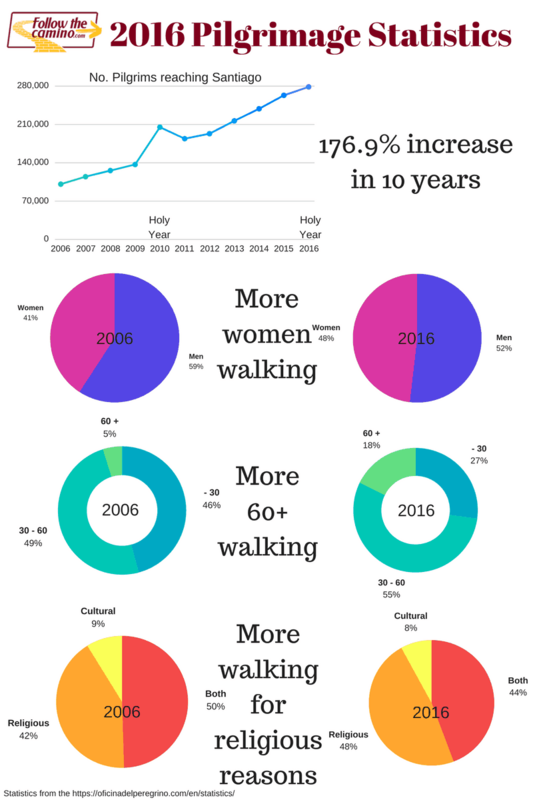 Althought 2017 is not a Holy Year it is likely that the number of pilgirms walking the Camino with continue to grow. Will we break the record again?